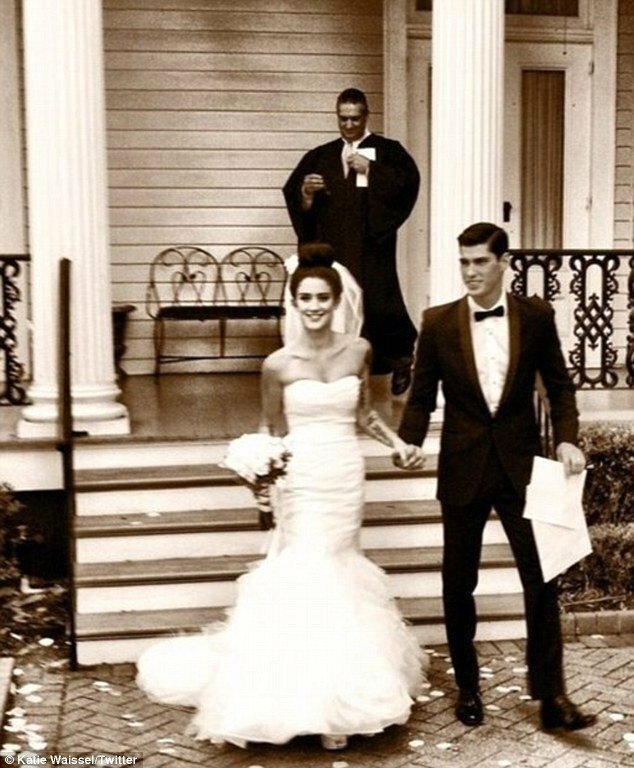 Katie Waissel has allegedly split from her husband Brad Alphonso – after just two months of marriage. Former X Factor contestant wed the male model after a whirlwind two-month romance during a secret ceremony in September. The Sunday People claims Katie Waissel chose to end the relationship after realizing he wasn’t right for her. The couple only wed 10 weeks ago and had only been dating for 16 weeks before the nuptials. Katie Waissel was spotted jetting into Los Angeles, where she now resides, on Saturday minus her wedding ring. Although her heart shaped tattoo which matches Brad’s was still noticeable on her wedding finger. Katie Waissel, who rose to fame as one of the most hated contestants on The X Factor under Cheryl Cole’s mentorship in 2010, was quick to tweet a picture of her happy day after they became man and wife in September.